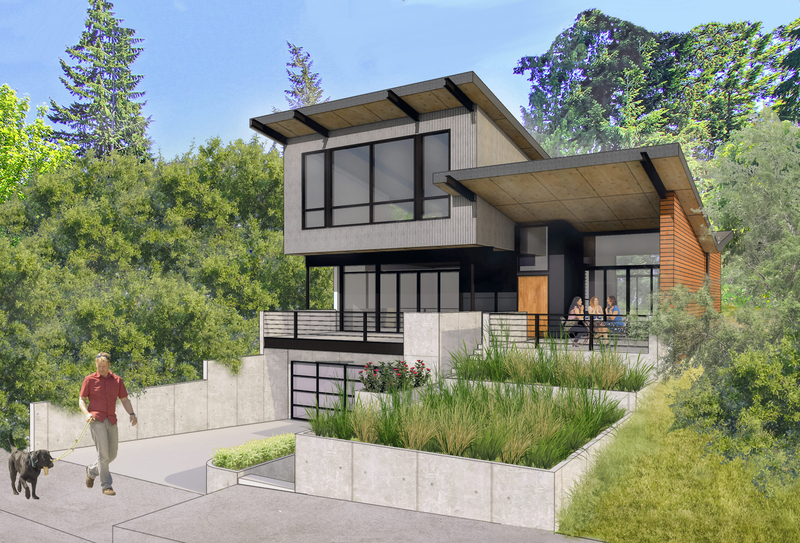 This house is designed to fit on a narrow, steeply sloped property that has northern views of the Puget Sound and the Edmonds waterfront. The garage and a media/play room are built under the main house to elevate the main spaces to the views. The side walls are solid for privacy reasons and the main living space has floor to ceiling glass and is filled with the northern ambient natural light.